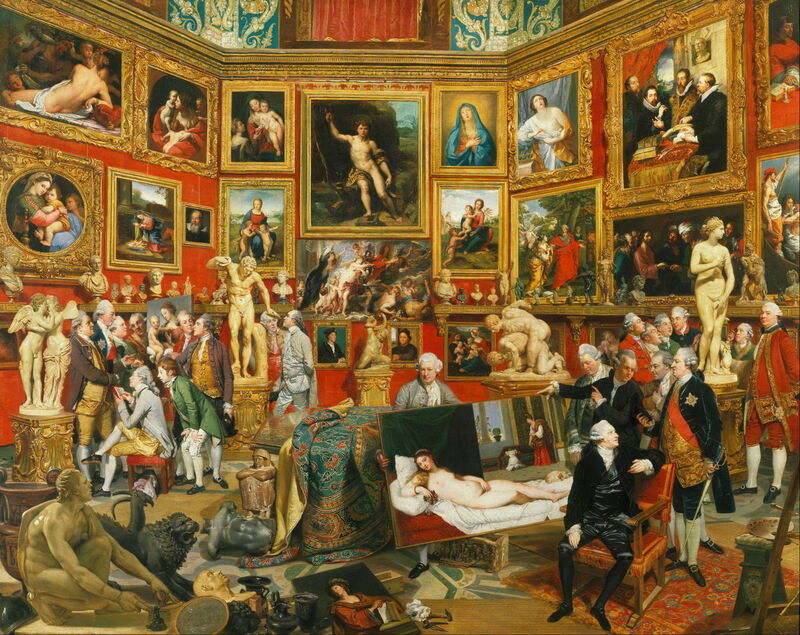 Johann Zoffany (1733–1810), Tribuna of the Uffizi (1772-77), oil on canvas, dimensions not known, Royal Collection of the United Kingdom, England. Wikimedia Commons. As today is New Year’s Eve, it is time to look back on some of my favourite paintings which I have featured in articles here over the past year. This is one of my favourite articles to write, because it gives me an excuse to go back and enjoy the many paintings which I have shown, but it is also one of the most difficult, given the choice. I hope that you will enjoy these few. 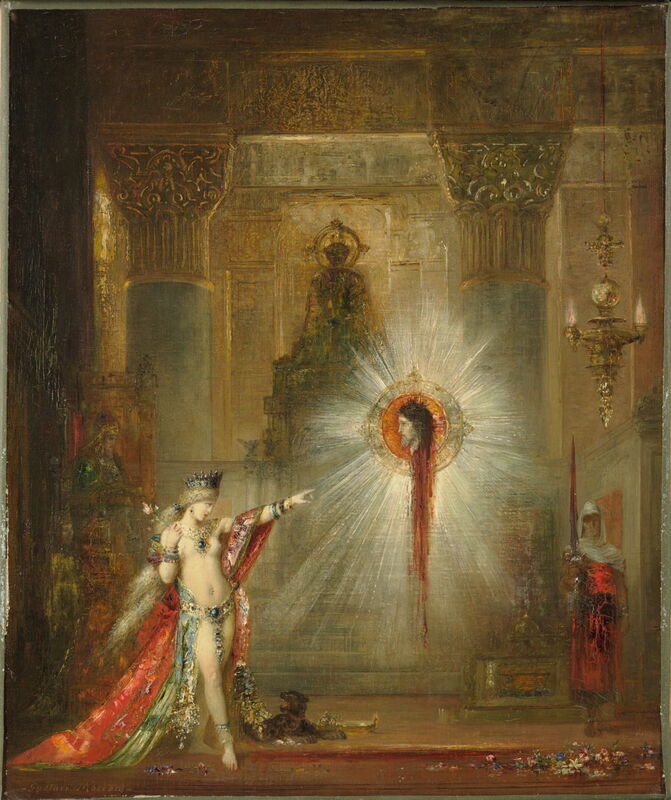 Gustave Moreau’s The Apparition (1876-77) was featured in my series looking at who killed John the Baptist? 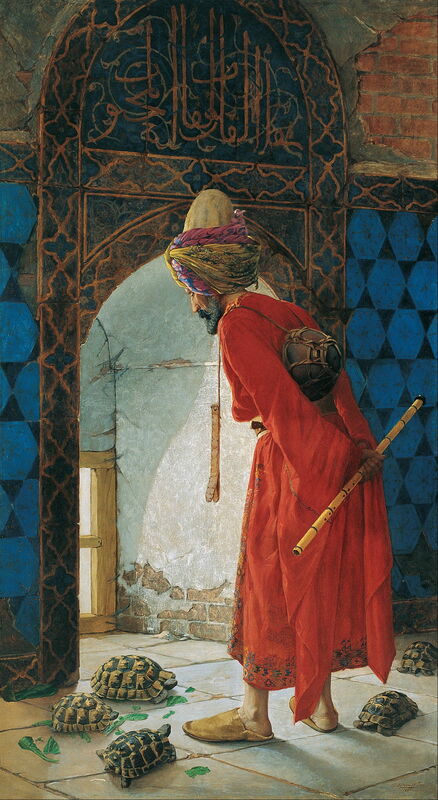 Osman Hamdi Bey (1842–1910), The Tortoise Trainer (1906), oil on canvas, 221.5 x 120 cm, Pera Müzesi, Istanbul. Wikimedia Commons. I had not come across the paintings of Osman Hamdi Bey before, but The Tortoise Trainer (1906) and several of his other works are well worth seeing. This set the record for the highest price paid for a Turkish painting when it was sold in 2004 for $3.5 million. 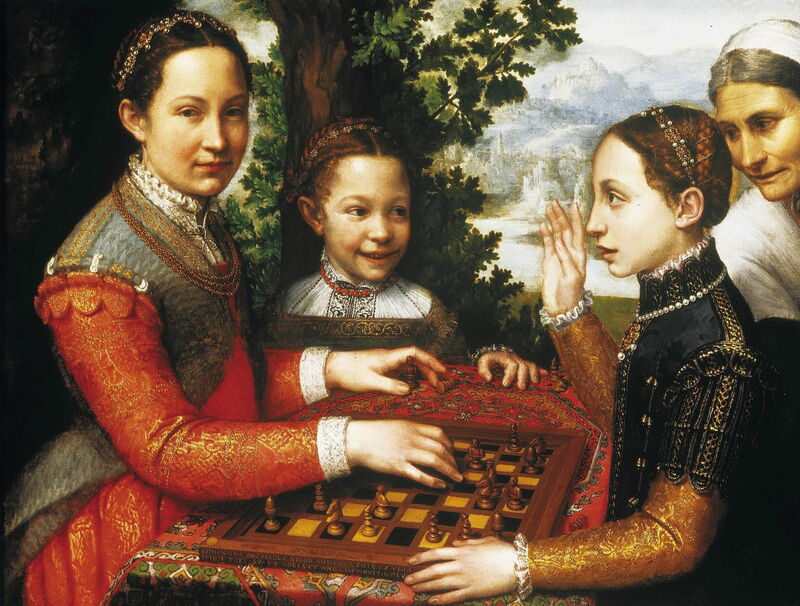 Sofonisba Anguissola (1530–1625), The Chess Game (Portrait of the artist’s sisters playing chess) (1555), oil on canvas, 72 x 97 cm, Muzeum Narodowe w Poznaniu, Poznań, Poland. Wikimedia Commons. 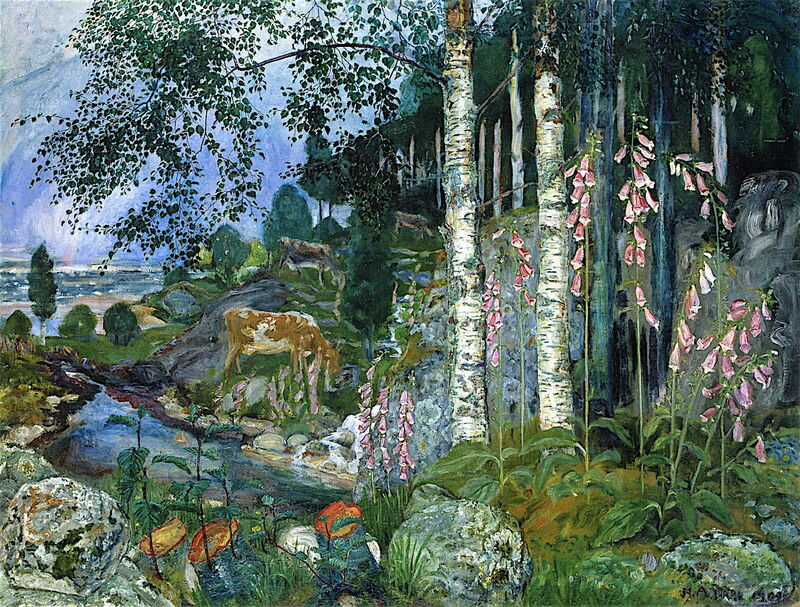 Nikolai Astrup (1880–1928), Foxgloves (1909), oil on canvas, 87 x 115 cm, Nasjonalmuseet for Kunst, Arkitektur og Design, Oslo. The Athenaeum. I found some unusual and memorable images among the paintings and prints of the Norwegian Nikolai Astrup: the series on his work starts here. 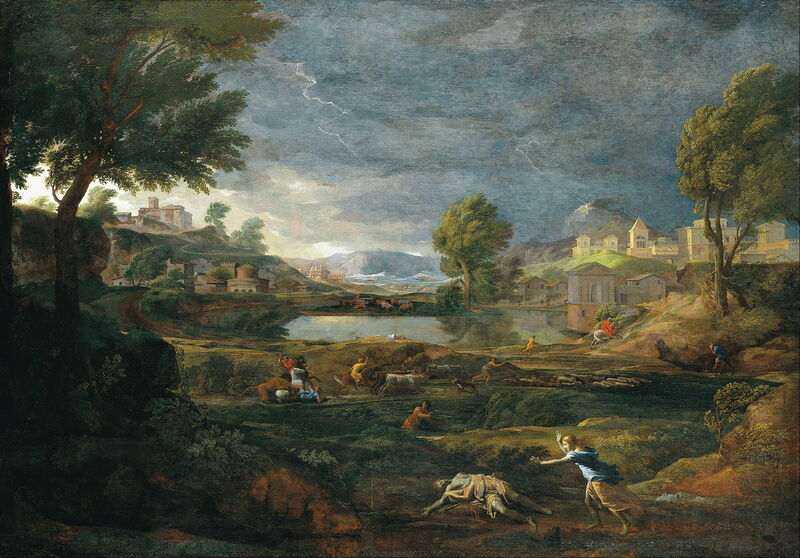 Throughout the year, I have been working through Ovid’s Metamorphoses, telling its stories and showing some of the finest paintings of them. My table of contents, introduction, bibliography and index are here. 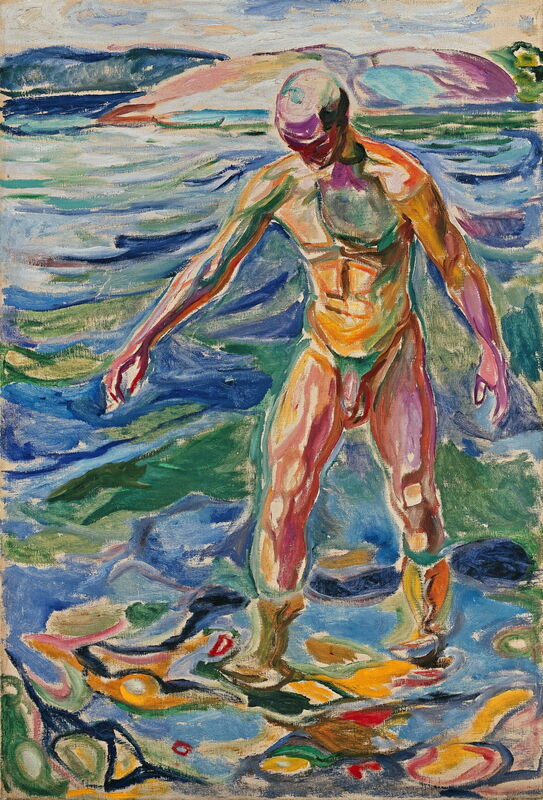 Edvard Munch (1863–1944), Bathing Man (1918), oil on canvas, 160 × 110 cm, Nasjonalgalleriet, Oslo. Wikimedia Commons. In the course of studying Edvard Munch’s Frieze of Life and its history, I came across this extraordinary late work of his. His biography with other paintings starts here. Jules Breton (1827–1906), Song of the Lark (1884), oil on canvas, 110.6 × 85.8 cm, The Art Institute of Chicago, Chicago, IL. Wikimedia Commons. 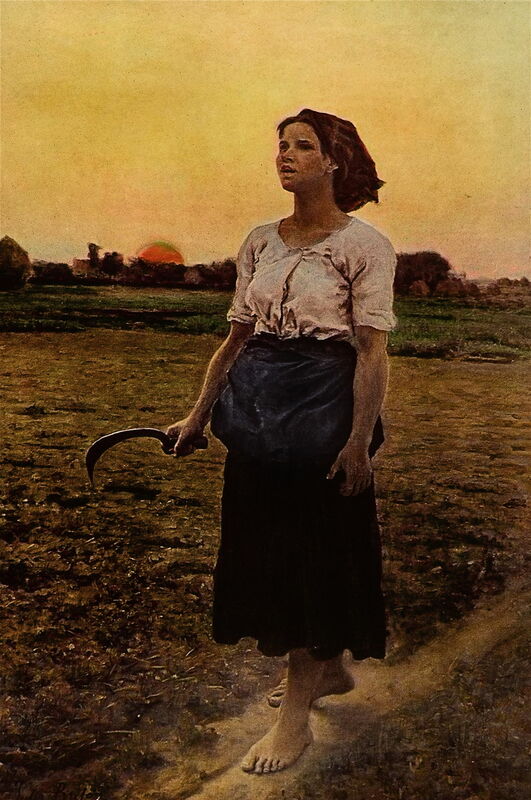 I also looked through the works of both Jules Breton and Jean-François Millet; my illustrated comparison between them is here. 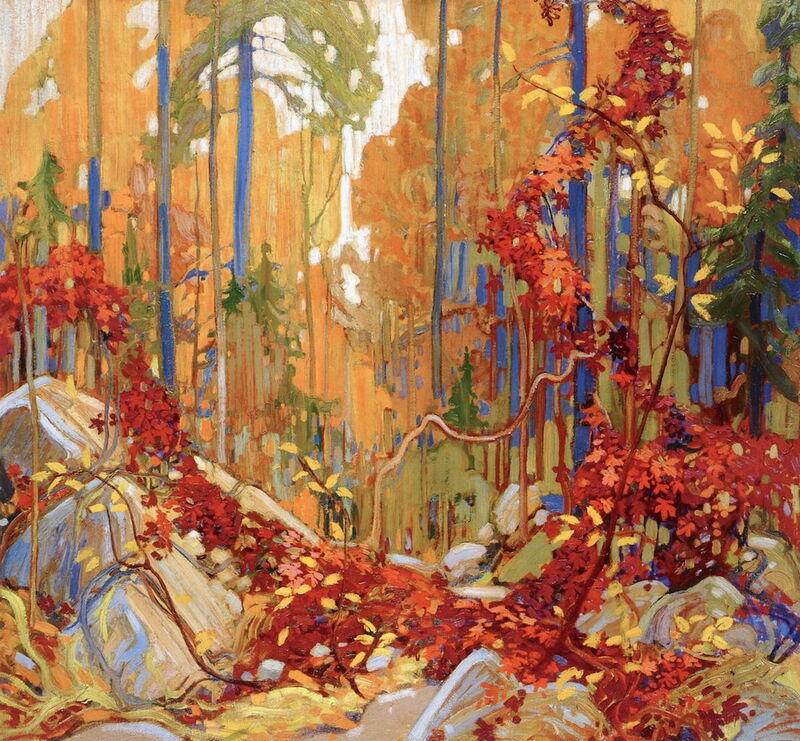 This year saw the centenary of the tragically early death of Tom Thomson. My series looking at his paintings begins here. 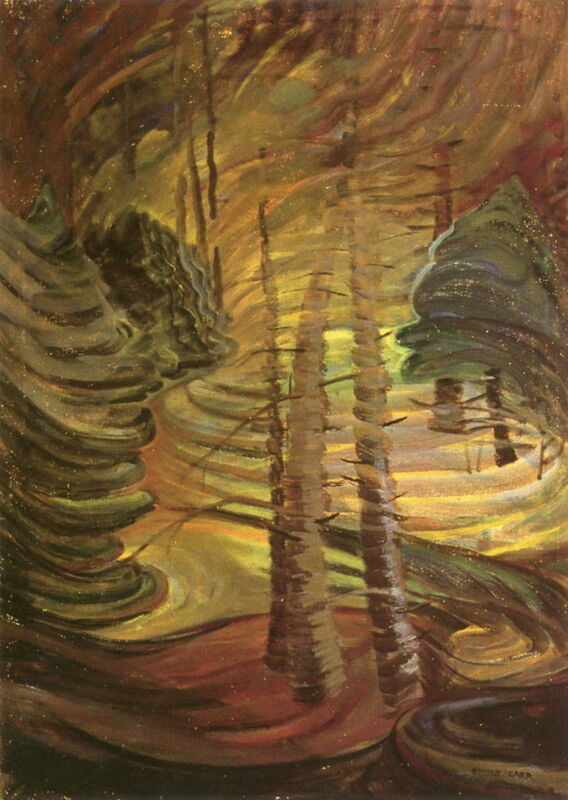 When I started researching for that, I stumbled across another outstanding Canadian artist, Emily Carr, whose work was shamefully neglected until she was in her later years. So over the course of five articles, I looked at her paintings. 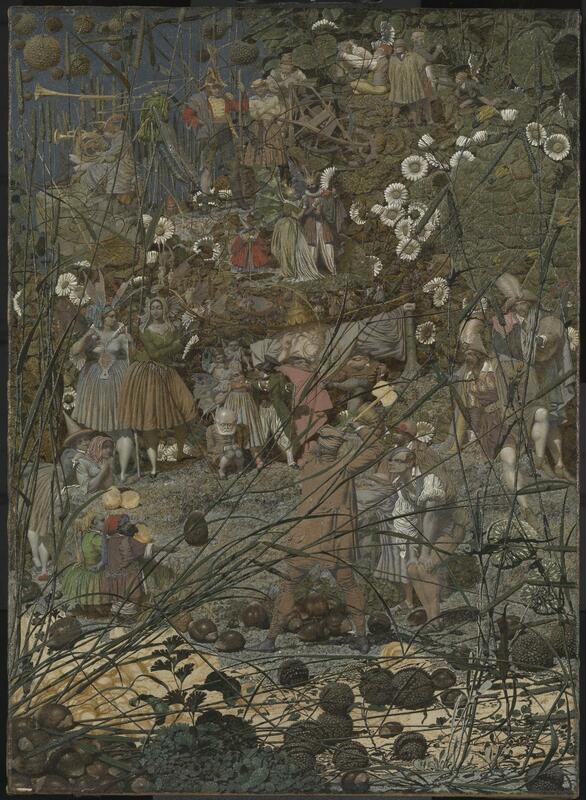 I have appreciated the paintings of Richard Dadd for about fifty years, before he was re-discovered. I was therefore delighted to be able to celebrate his bicentenary in a series of seven articles, culminating in this appreciation. 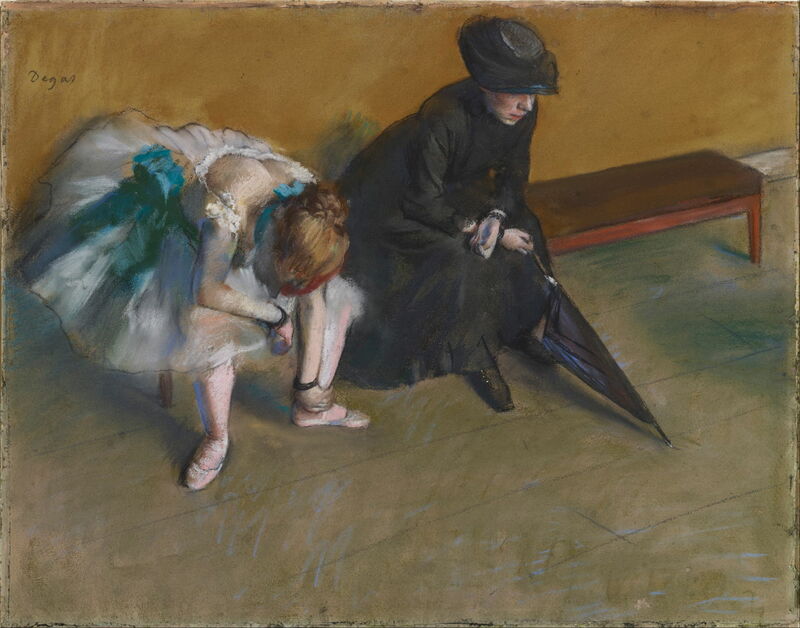 The year’s major anniversary, though, was the centenary of the death of the great Edgar Degas. My eight articles about him are best summarised in this appreciation, and I’m still hoping that one day I’ll get to see his Waiting (c 1882). 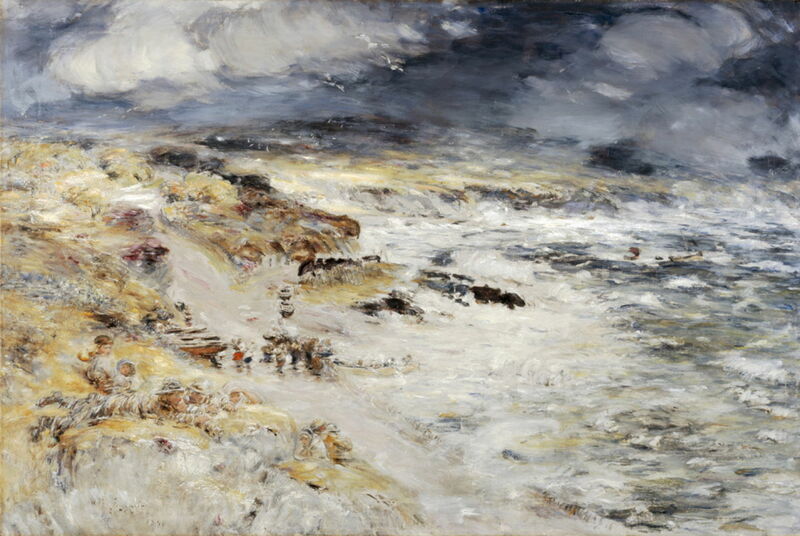 William McTaggart (1835–1910), The Storm (1890), oil on canvas, 122 x 183 cm, National Galleries of Scotland, Edinburgh, Scotland. Wikimedia Commons. In the summer – appropriately, I thought – I started a new series about paintings of coastal landscapes. It has brought many wonderful surprises, in particular this gripping depiction of The Storm (1890) by the Scottish landscape painter William McTaggart. My article about him is here, and the series set out in Painting topics above. 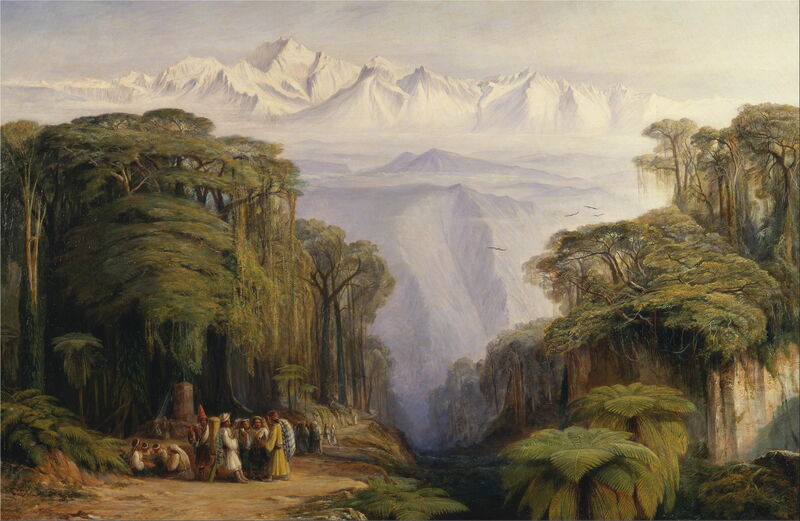 Edward Lear (1812–1888), Kangchenjunga from Darjeeling (1879), oil on canvas, 119.7 x 182.9 cm, Yale Center for British Art, New Haven, CT. Wikimedia Commons. Edward Lear has been another of my longstanding favourites, and two short articles here and here have been very popular with viewers, many of whom were unaware that he even painted. William Bradford (1823–1892), The Coast of Labrador (1866), oil on cardboard, 72.1 cm x 113.4 cm, The Art Institute of Chicago, Chicago, IL. The Athenaeum. 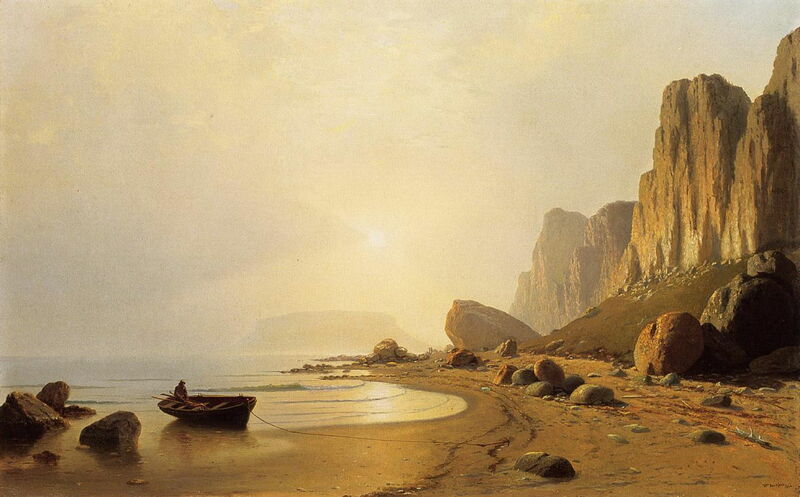 The Coast series took us even further afield, with artists who deserve to be much better-known today, including William Bradford, whose unique paintings of the Arctic east coast of North America are shown here. 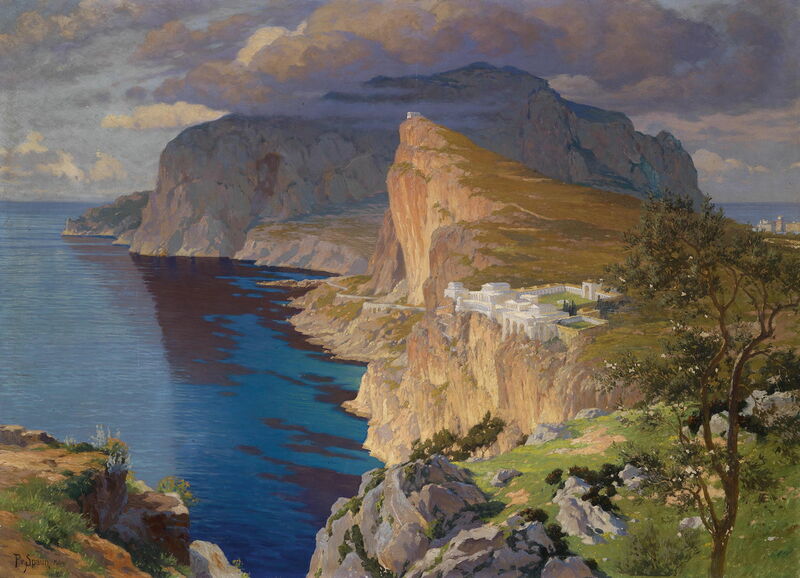 Paul von Spaun (1876-1932), Idealised View of Villa Jovis on the Island of Capri (date not known), oil on canvas, 80 x 110.4 cm, location not known. Wikimedia Commons. I also caught a little winter sunshine on the Island of Capri, here and here. 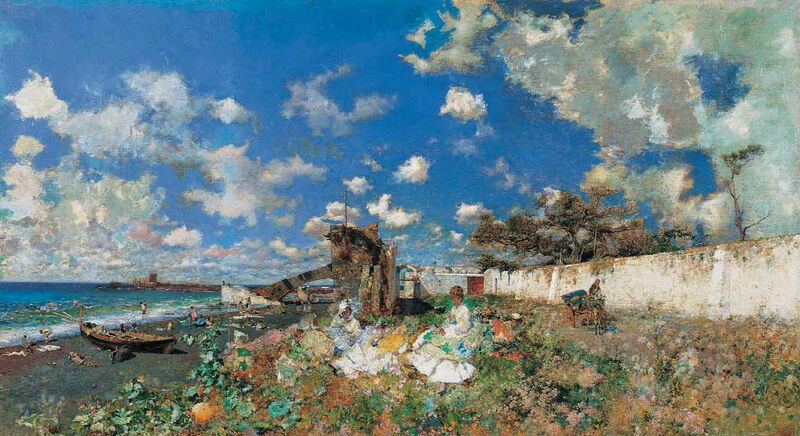 Marià Fortuny (1838–1874), Portici Beach (1874), oil, dimensions not known, Private collection. Wikimedia Commons. Researching for these articles repeatedly comes up with surprises, artists who I had never heard of, who turn out to have painted some magnificent works. Just recently, I was bowled over by the Impressionist paintings of Marià Fortuny, shown here and here. 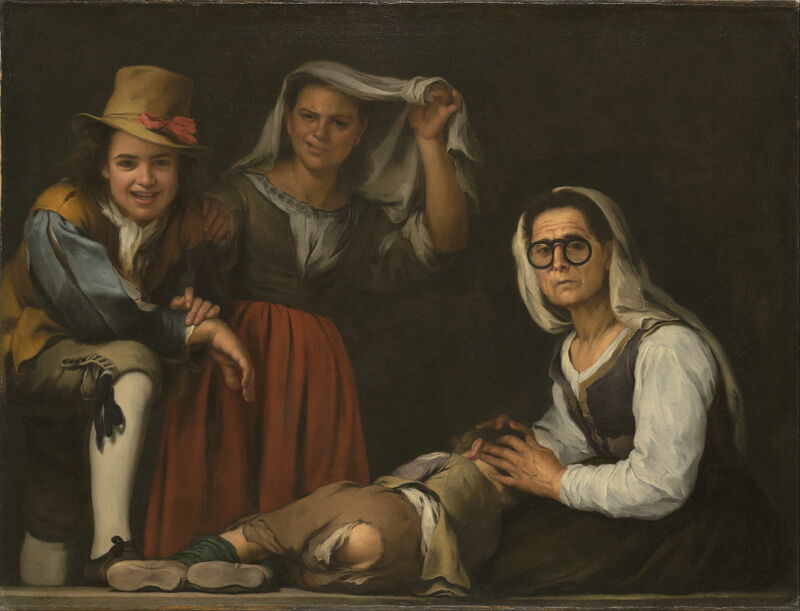 Bartolomé Esteban Murillo (1617–1682), Four Figures on a Step (c 1655–60), oil on canvas, 109.9 x 143.5 cm, Kimbell Art Museum, Fort Worth, TX. Wikimedia Commons. A year ago, when I was working out the anniversaries to celebrate during 2017, I became enthused with the prospect of looking at the paintings of Murillo. I was aware of some of his religious works, but had only seen a couple of his secular ones. You can read about this controversial and fascinating painting, Four Figures on a Step (c 1655–60), in this article. The most difficult series of articles to write this year has also been the most personally rewarding: Seeing History, in which I have been looking at how human visual experience has changed, and pondering what effects those changes may have had on our appreciation of paintings. The series starts here and will resume in the New Year. 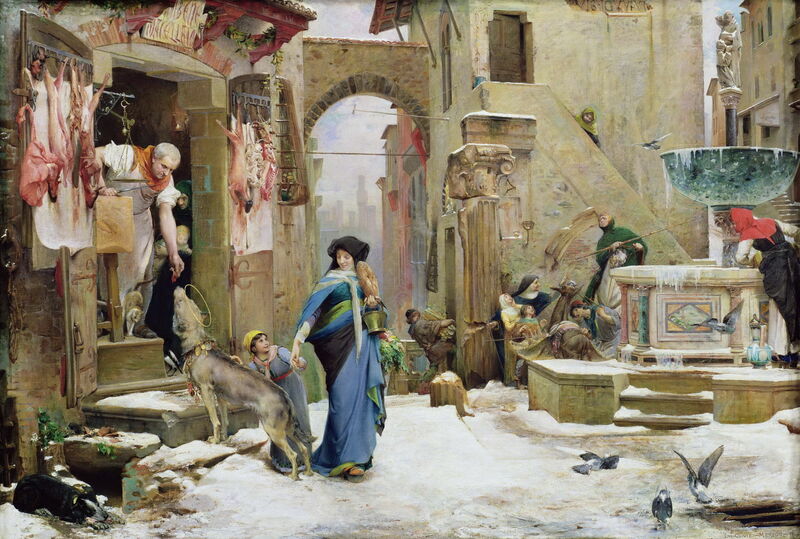 Luc-Olivier Merson (1846–1920), The Wolf of Agubbio (1877), oil on canvas, 88 x 133 cm, Palais des Beaux-Arts de Lille, Lille, France. Wikimedia Commons. Finally, there’s another forgotten gem of a painting with which I am closing the year: Luc-Olivier Merson’s The Wolf of Agubbio, whose story I have just told here. And there are so many more: you’ll find fuller subject listings in Painting topics, in the menus above, below, and in the sidebar. I hope that you have enjoyed looking at these articles as much as I have enjoyed compiling them. Posted in General, Life, Painting and tagged Astrup, Breton, Carr, coast, Dadd, Degas, Fortuny, history of painting, Merson, Metamorphoses, Moreau, Munch, Murillo, painting, Thomson, women in art. Bookmark the permalink. A very interesting and detailed blog post. Thanks!